The modern-day tourist has more options than ever before, with travel being increasingly accessible. In the past, many destinations and vacations were reserved for wealthy people with large incomes, but now almost everyone can enjoy travel around, experiencing new cultures and seeing new sights without worrying too much about the costs. Cruises are an excellent example. In the past, cruises were only associated with the rich and famous, but are now open to all, with low cost cruises available in a myriad of destinations all around the world, from Europe to Asia, North America, South America, and beyond. Mexico is one of the best cruise destinations. Whether you're looking to explore the gorgeous cities and resorts of the Mexican Riviera or exploring the country's Caribbean coastline in places like Costa Maya, there's a lot to love and plenty of things to do on a Mexican cruise. Visiting Mexico by cruise ship is actually one of the best ways to appreciate the beauty of this nation, with Mexican cruises allowing travelers to stop off at multiple destinations, relaxing on different beaches and trying a wide array of activities like sunbathing, swimming, snorkeling, water sports, and exploration. Looking to save cash on Mexico cruises? If so, this is the place to be. The cost of a Mexican cruise can quickly start rising if you choose certain dates or routes, but there are plenty of cheap Mexico cruises to be found as well and lots of good ways to keep your costs low in order to stick to your budget. Using price comparison sites is a good place to start in order to get the best deals on Mexican cruises, and many of the cheapest Mexican cruise routes tend to start in California, primarily around the Long Beach area, and explore the cities and regions of the Mexican Riviera like Ensenada, Cozumel, Progreso, Cabo San Lucas, and Mazatlan. If you want to save money on Mexico cruises, you need to be willing to make a few compromises in terms of your cruise duration and the style of room you choose. 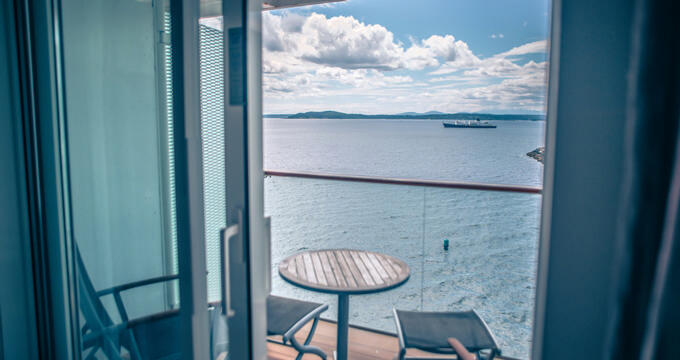 Interior rooms will tend to be the cheapest options for a Mexico cruise, and the shorter duration journeys of 3, 4, or 7 days will be much more budget-friendly than two week cruises. Read on to learn about some of the best examples of cheap Mexican cruises. Available all through the year, from January to December, Carnival Panorama's 7 Night Mexican Riviera cruise departs from Long Beach in California and stops off at three key Mexican port cities: Cabon San Lucas. Mazatlan, and Puerto Vallarta. Interior rooms can be booked on this cruise for around $75 per night and there's a lot to do at each of the stops along the way. Puerto Vallarta, for example, is home to some gorgeous beaches like the Bahia de Banderas and some super natural areas like the Islas Marietas National Park. Hop on board this Carnival Inspiration cruise of Mexico for the low price of less than $50 per night in an interior room or just a little extra for an oceanview room. This cheap Mexican cruise departs from Long Beach in the Los Angeles area and stops off at Avalon on Catalina Island before heading south for a stop off at Ensenada in Mexico. Catalina Island is a great spot to enjoy all kinds of activities and attractions, including casinos, botanical gardens, and upscale shopping areas, while Ensenada is generally regarded as one of the best spots on the Mexican Riviera. If you're just looking for a quick getaway and the cheapest possible Mexican cruise, Carnival Inspiration's 3 Night Baja Mexico could be the one for you. It leaves from Long Beach and heads straight down to Mexico for a stop at Ensenada. At Ensenada, visitors can enjoy some gorgeous beaches or spend some time soaking up a little culture at the local museums like Museo de Historia and Museo Historico Regional. Climb aboard the recently renovated Carnival Paradise cruise ship for the cheapest possible tour of Mexico's Caribbean coastline. This Mexican cruise leaves from Tampa in Florida and stops off at Cozumel in Mexico. A spot in an interior room can be yours for just $60 per night on average. The island of Cozumel is a super snorkeling and water sports spot, with lots of dolphins and coral reefs to admire as well.